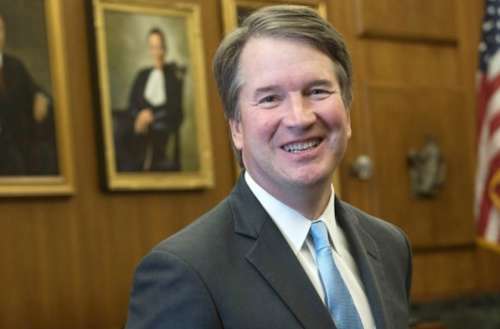 Yesterday, U.S. President Donald Trump named Brett Kavanaugh as his Supreme Court nominee to replace soon-to-retired Anthony Kennedy. Here’s a quick rundown of what you should know about Brett Kavanaugh as well as the Democratic and LGBTQ opposition to his nomination. Since 2009 Brett Kavanaugh has served as a judge on the District of Columbia Circuit Court of Appeals. He is now 53 years old, attended Yale and served as a clerk for Justice Kennedy. He helped prepare the Starr Report which argued for President Bill Clinton’s impeachment and also sided with anti-gay Republican Presidential candidate George W. Bush during the 2000 Florida recount that won Bush the presidency. According to fivethirtyeight.com, in the past Kavanaugh has consistently ruled “in favor of businesses and employers and against government regulations and agencies” like the Environmental Protection Agency (EPA) and the Consumer Financial Protection Bureau. An examination of his past rulings reveals that he thinks the government should help prevent abortions, he considers banning semi-automatic weapons unconstitutional and says that government shouldn’t “[force] someone to take an action contrary to his or her sincere religious belief.” Additionally, he has said that presidents can refuse to enforce any law that they find unconstitutional, even if courts have said otherwise. Political writer Ari Berman also points out that Kavanaugh upheld “a South Carolina voter ID law that Obama Justice Department said would disenfranchise ‘tens of thousands’ of minority voters,” an ominous sign for a continued rolling back of U.S. voting rights. In 2009, Kavanaugh also wrote that Congress should pass a law exempting sitting presidents from criminal investigations, questioning and prosecution. This is particularly notable considering that Trump is currently being investigated for possible collusion with Russia, something the Supreme Court may have to rule on in if charges are brought against him. 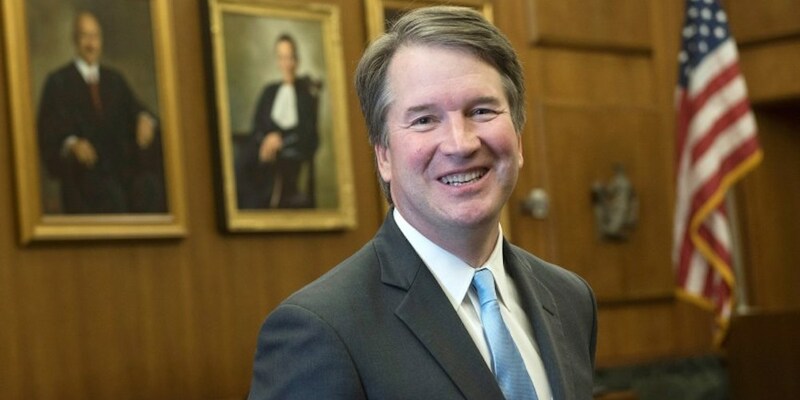 If Kevanaugh is confirmed, the U.S. Supreme Court will have a solid 5-4 conservative majority for decades to come and possibly longer if Trump appoints another Justice during his time as president. Kevanaugh will likely oversee key cases that will determine the future of LGBTQ rights including the civil rights guaranteed by marriage equality, the rights of trans people to serve in the military and use public facilities matching their gender identity and whether sincerely held religious beliefs allow discrimination against LGBTQ people. As such, pretty much every major national LGBT organization opposes Brett Kevanaugh’s nomination, including Lambda Legal, the ACLU, the Human Rights Campaign, GLAAD and the Transgender Law Center. Democratic U.S. senators have pledged to fight Kevanaugh’s nomination, but blocking his nomination would require at least one Republican senator and all 49 Democratic senators to vote no. Democratic Alabama Senator Doug Jones, who has a gay son, said he could see himself voting for Trump’s nominee. Also, Moderate Republican Senators Susan Collins of Maine and Lisa Murkowski of Alaska have voted in line with Trump about 80% of the time and have given no clear indication that they’ll vote against Kevanaugh. 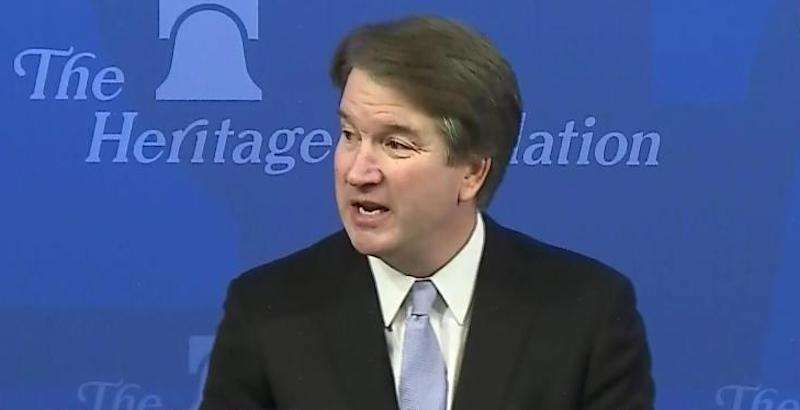 What do you think of Brett Kavanaugh?